Mao’er Hutong is an interesting place because of its location, hidden in plain sight and in close proximity to well-known places, plus the fact there are four spots on this one alleyway identified as cultural relics none of which are officially open to the public. Mao’er Hutong is generally translated as Hat or Hat Maker Lane. The area dates from the Ming Dynasty (1368-1644) when it was called the Wenchang Gong, a Taoist temple honoring the spirit belonging to the sixth of China’s 28 constellations. The current name came into usage during the succeeding Qing Dynasty (1644-1911). 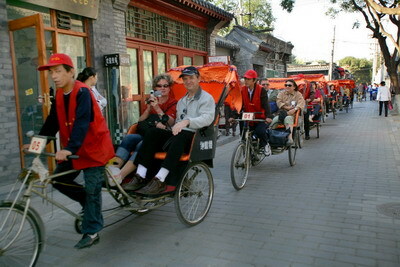 The hutong runs west to east from Di’anmenwai Dajie to Nanluogu Xiang in the Jiaodaokou sub-district. The best way to find it is from Di’anmen; it’s the first alleyway northeast of the old bridge to the east of Qianhai.